Learning Ritual Magic is a training manual for anyone serious about improving their magic based on the western mystery traditions, including tarot, ritual magic, Qabalah, and astrology. "What you get out of [magic] can be measured precisely by what you are willing to put into it- and time is the essential ingredient in successful magical training," the authors write. And just as no one expects to run a marathon or play a Bach violin concerto without sufficient training, so practitioners of the magical arts shouldn't expect to work complex, powerful magical rituals without a solid grounding in the techniques of Hermetic high magic. By spending at least a half hour a day practicing the lessons found in Learning Ritual Magic, the solitary apprentice attains the proper groundwork and experience for working ritual magic. Learning Ritual Magic provides lessons on meditation and a set of exercises designed to develop basic skills in imagination, will, memory, and self-knowledge, all of which are absolute fundamentals to magical attainment. While the authors discuss the essentials of magical theory, they focus on daily, basic perspectives rather than launching into details of advanced practice. Designed for the solitary practitioner, Learning Ritual Magic concludes with a ceremony of self-initiation. John Michael Greer, Clare Vaughn, and Earl King, Jr. founded a magical order in the Rosicrucian and Golden Dawn traditions, updated for modern times. The authors live in Seattle, Washington. Clare Vaughn is a long-time beader as well as a priestess and ceremonial magician. She is the Archdruid of the West and an archpriestess of the Ancient Order of Druids in America. She is an Ovate in OBOD, holds ordination and consecration through the Druid arm of the Universal Gnostic Fellowship, and is a founding member of two magical lodges. She has done beadwork for more than fifteen years. Her interest turned to prayer beads in 2003, and since then she has made dozens of strands. Her own personal practice includes extensive use of pagan rosaries and prayer beads. 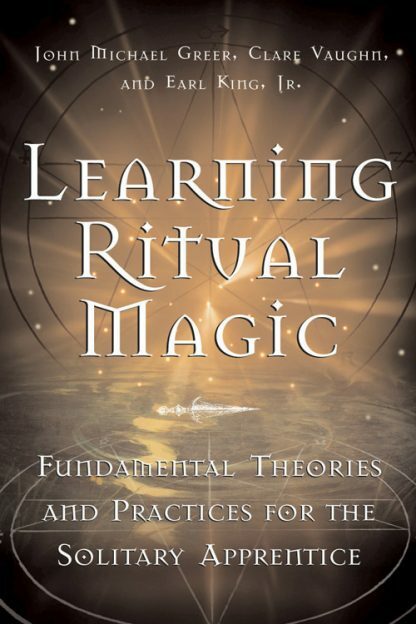 Vaughn is the co-author of Learning Ritual Magic. She lives in Ashland, Oregon.